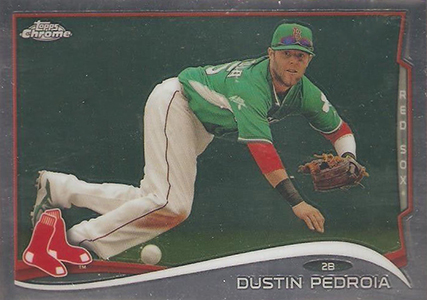 Compared to some other recent releases, there aren't a ton of 2014 Topps Chrome Baseball variations. 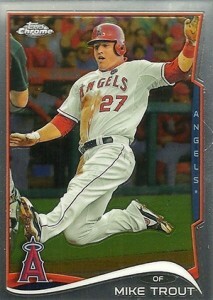 However, they are extremely hard to pull. 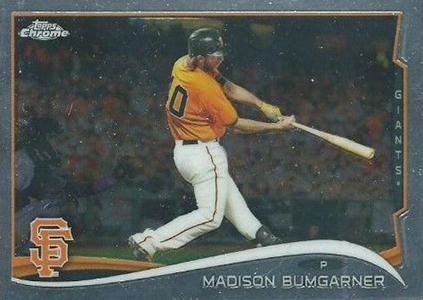 Shop for 2014 Topps Chrome Baseball variations on eBay. 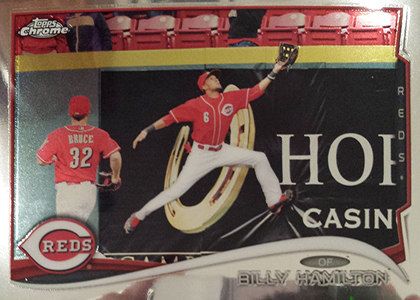 They land 1:1,400 hobby packs. 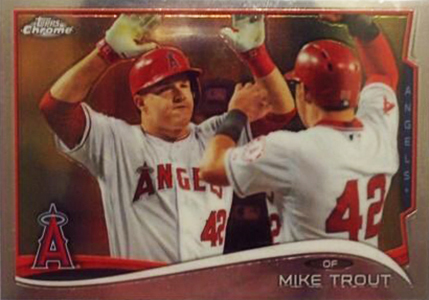 That's just under 1:60 2014 Topps Chrome Baseball hobby boxes or 1:5 cases. 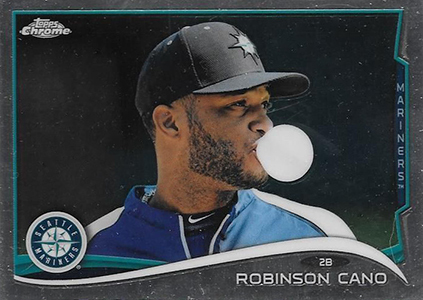 Spread that over 25 different cards and it's easy to understand their rarity. 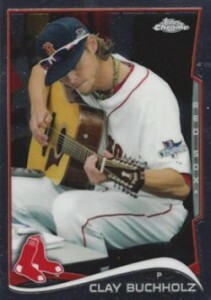 The variations have a couple of different themes. 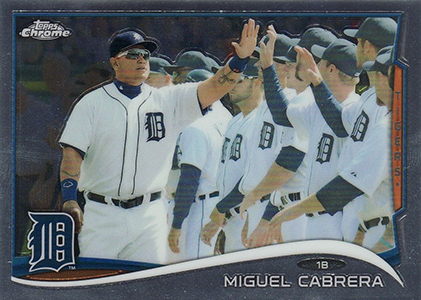 The first is somewhat loose, showing players with high-fiving teammates, pointing to crowds and such. 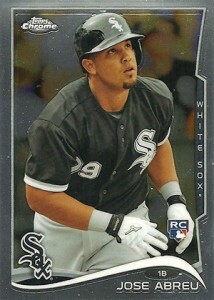 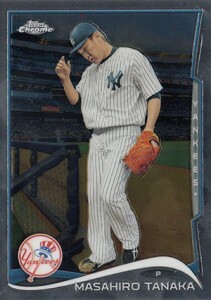 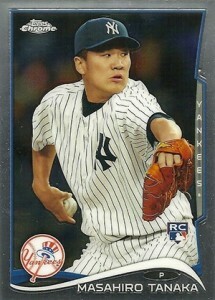 Topps has confirmed that rookies Jose Abreu, Masahiro Tanaka and Xander Bogaerts have variation backs. 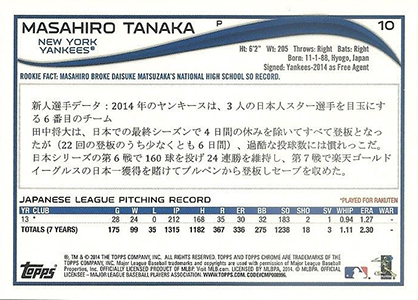 These are written in their native languages that can be spotted on the card backs. 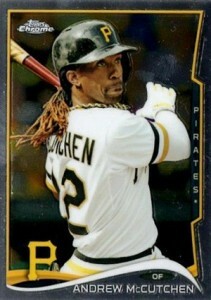 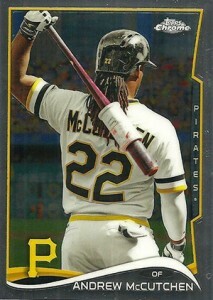 Other variations just use strong photos, like the one showing the back of Andrew McCutchen's jersey. 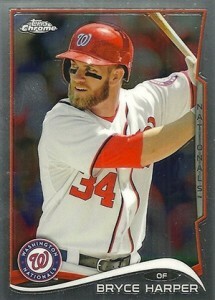 Unlike some other sets, the code in the fine print on the back does not appear to tip-off base cards and variations. 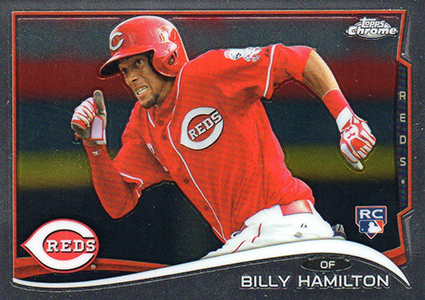 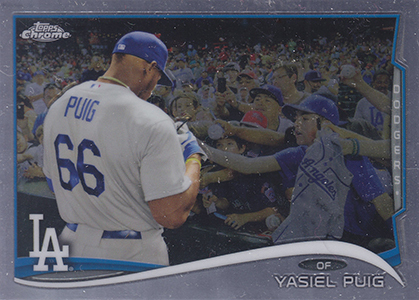 Below you'll find a visual guide for the 2014 Topps Chrome Baseball variations. 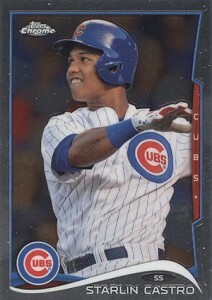 We've got shots of all the base cards and are adding variation images as they become available. 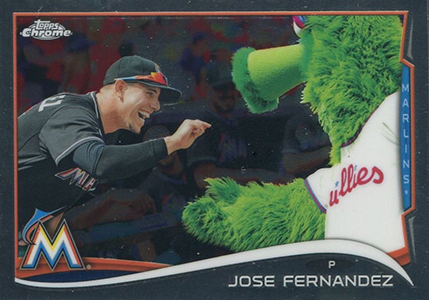 For now, please consider it a work in progress. 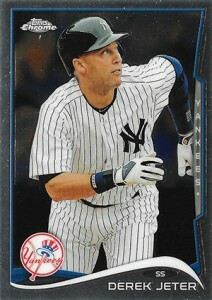 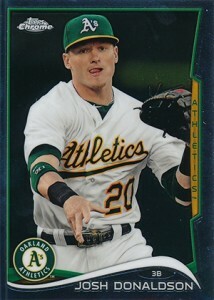 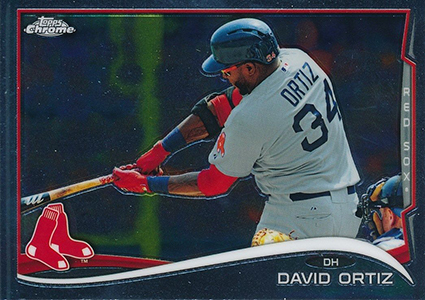 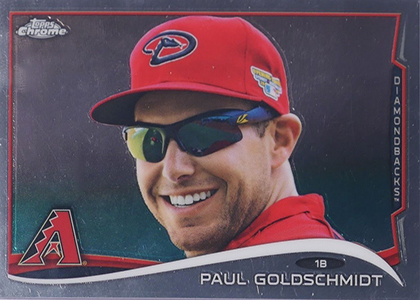 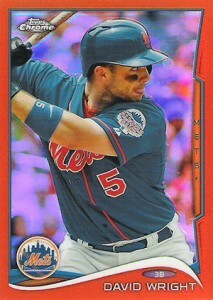 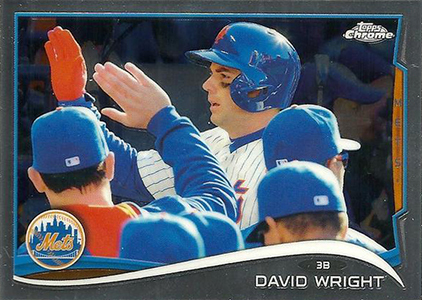 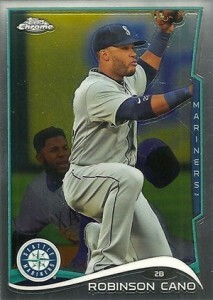 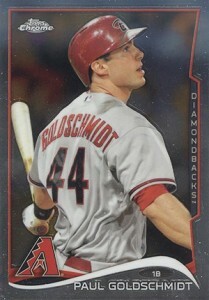 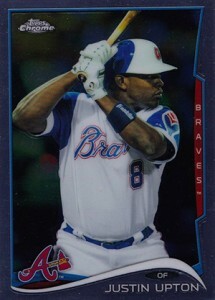 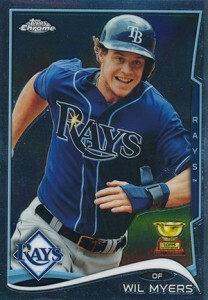 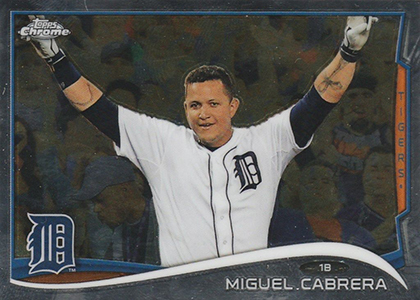 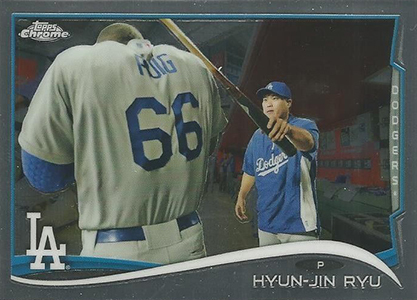 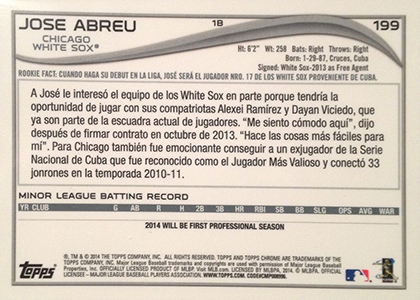 Some base cards use Refractors as exemplars. 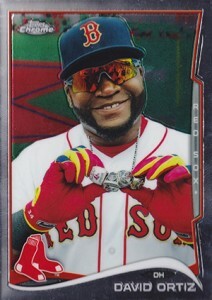 These have the same images. 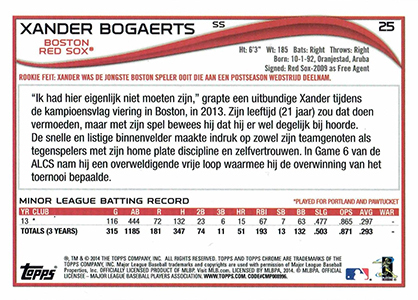 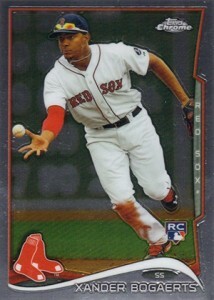 2014 Topps Chrome DUTCH BACK SSP Variation #25B Xander Bogaerts RC RED SOX RARE! 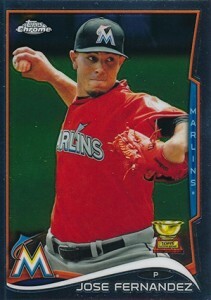 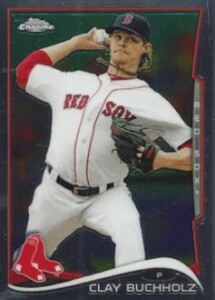 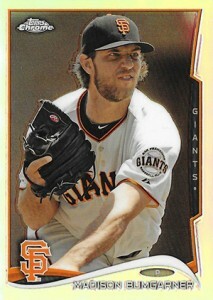 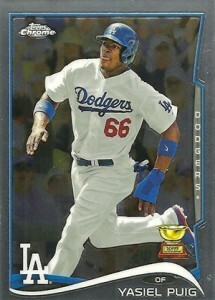 While I’m not a collector of Topps Chrome this is how I think variations should be done. 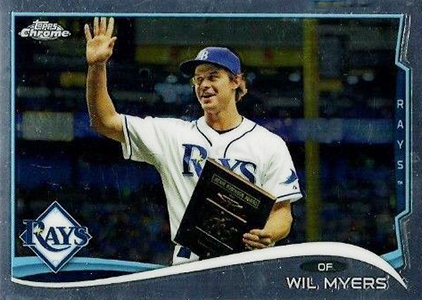 Only a handful and rare. 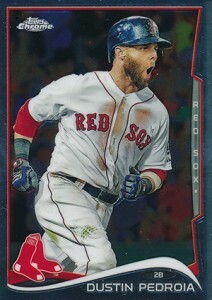 Maybe not as difficult to pull as 1:1,400 packs but they should be tough to pull. 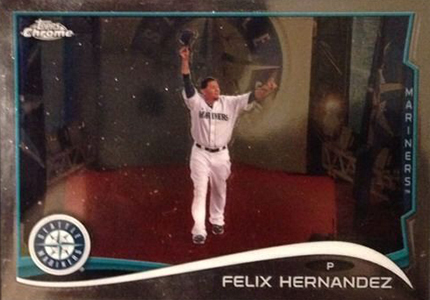 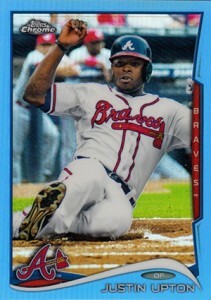 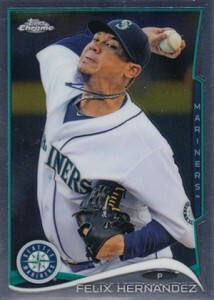 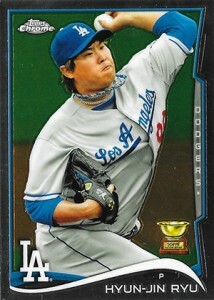 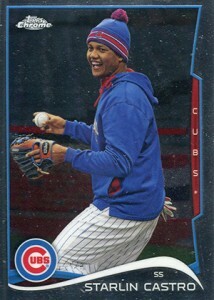 There is an oversaturation with variations throughout Topps products. 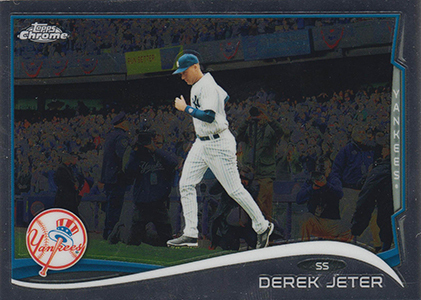 Would love to see Topps flagship scale back on the variations and only go with one or two themes, themes that can be easily recognized, i.e. 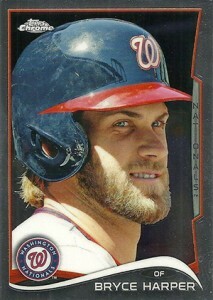 not sparkles. 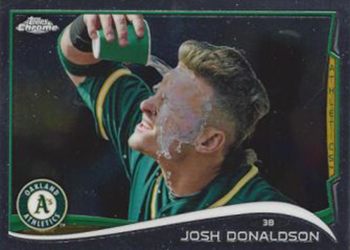 Same goes for all products.